Read the latest article from CPM, UK. Michelle, what were your perceptions of the summit ahead of attending? 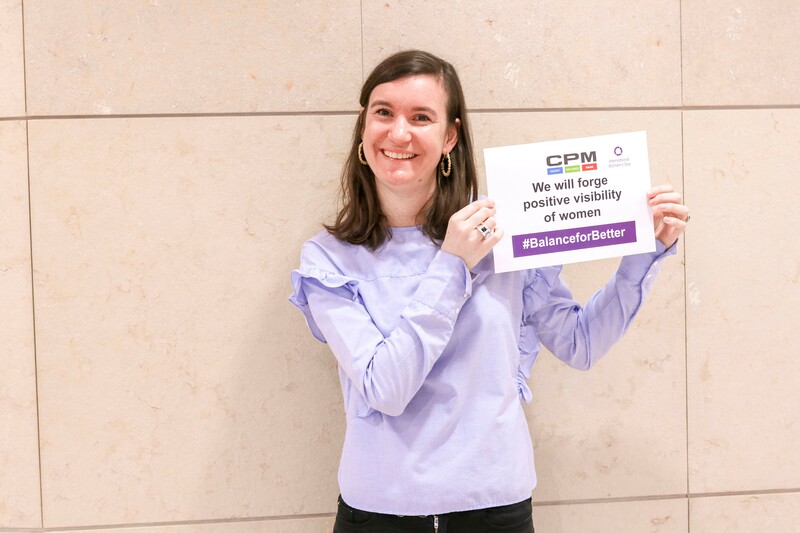 I’d heard so many great things from colleagues who had attended the Omniwomen Summit before, so knew it was going to be a great day full of energy! 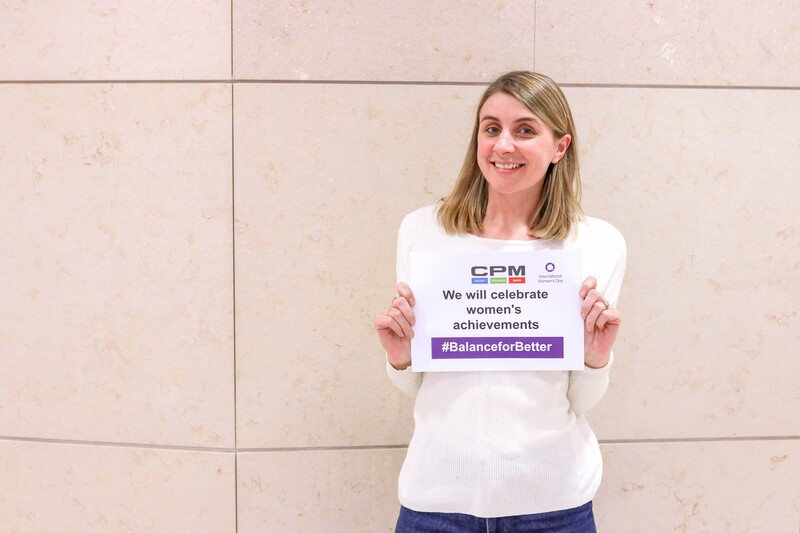 I went with an open-mind but was very excited to know I was spending International Women’s Day at an event filled with likeminded individuals from across the Omnicom agencies, who all felt passionate about empowering women in the workplace. I was really looking forward to hearing from women who had been successful in their own careers and taking advice and learnings from their journeys that I could apply to my own. The theme was all around supporting and celebrating diverse paths to leadership. We heard from a wide range of speakers including Ruth Hunt Chief Executive of Stonewall, Sophie walker Former Leader of The Women’s Equality Party and Sophia Thakur – Award Winning Poet. Each of them have been on their own really interesting and different journeys – successful in their own right. It was really interesting to hear their points of view, the challenges they have faced on their way to the top and how they overcame these and used them to their benefit. What breakout sessions did you choose? I chose ‘Cracking Confidence’ with Alison Chadwick which was an interactive workshop providing techniques on how to crack confidence from the inside out and from the outside in. The session looked to help me use my natural strengths to tackle situations that feel challenging and make friends with the inner critic who can sometimes stop me in my tracks. I left the workshop armed with immediately usable tips and tools that will help me look as well as feel more confident in the future. The second breakout session I picked was called ‘Making your words work for you’ with Sophia Thukur. After seeing her present on the main stage earlier on in the day, I was super-excited to learn more from the talented artist. This session was aimed at forcing myself to tap into my potential, learn how to approach problems with creative solutions and use confidence exercises specifically looking at posture, tone, pace and poise. Both of the sessions left me feeling empowered and motivated with key learnings that I can now apply to my day job and support in making me the best version of myself. What was the session that resonated the most with you and why? I really enjoyed the ‘Breaking The Silence’ session which included a panel of Lorraine Jennings (Director of Services & Talent, NABS), Sean Betts (MD, Annalect), Jessica Geary (Senior Digital Media Director, RAPP) and Claire Sanderson (Editor in Chief Women’s Health). 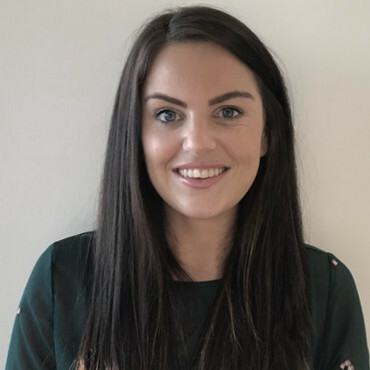 The sessions focussed on the individual mental health and wellbeing struggles that the panel had faced, and how they had overcome these challenges, and used the experiences to positive effect. The session was really open and honest and it was moving to see such senior colleagues talk about their personal struggles. It demonstrated that the path to success is not easy, and that we all need to do more to drive awareness – and open up about how we are feeling. With mental health being so topical at the moment I found it beneficial that the panel touched on this subject and took away lots of ways in which I can make a difference within my workplace to recognise the signs of any colleagues who may need someone to talk to, and what I can do to create a safe environment for individuals to open up. After attending such an empowering event, what would your advice now be to your female colleagues? This is a hard one as there was so much brilliant advice I took from the event but what really struck a chord with me was that it’s important to know and accept yourself, to be confident and comfortable with who you are and stay true to yourself on your journey to success. It’s vital to understand what it is you value, what are your strengths and keep true to them ALWAYS! Lastly and mostly importantly – don’t let the inner critic stop you from putting yourself out there, trying new challenges and getting you to where you want to be. 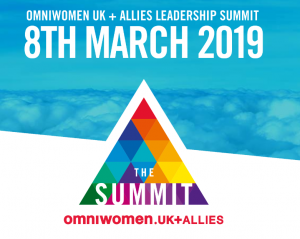 Omniwomen UK + Allies was initially set up 5 years ago with the goal to look at how as an organisation OMNICOM could increase the number, seniority and influence of women in leadership roles across the company. Since establishing, the Omniwomen Team have supported in getting more women into senior roles with 48% of Omnicom’s senior leadership now being female. 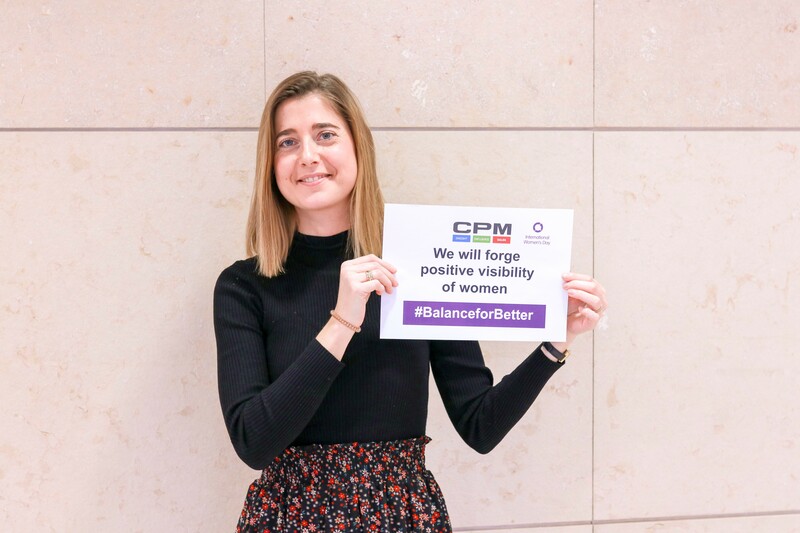 But not one to stagnate, the Omniwomen UK + Allies Team want to do more and are making the commitment to enable women from all backgrounds to fulfil their potential and this year, are focussing their efforts on supporting and celebrating diverse paths to leadership. 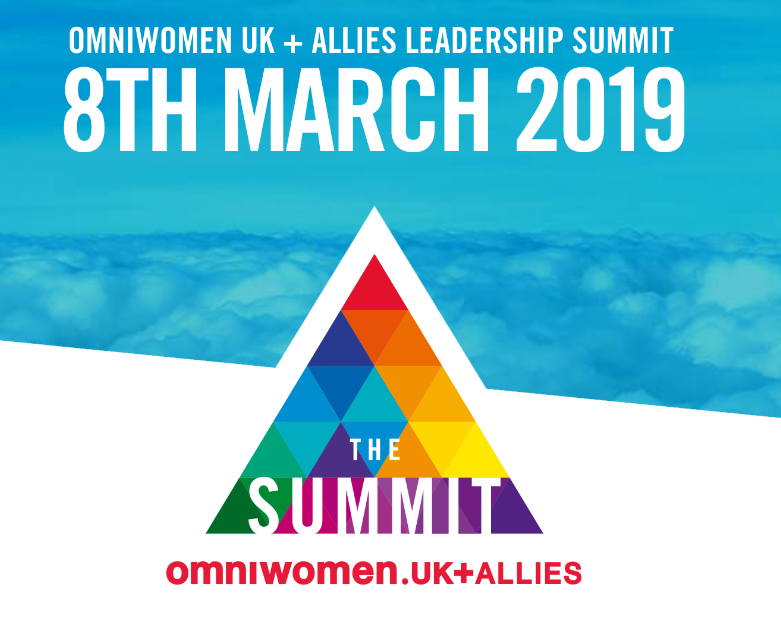 Every year Omniwomen UK + Allies hold a Leadership Summit bringing together around 300 colleagues from across the wider UK agencies all passionate about equality, diversity and inclusion and I was lucky enough to attend this year’s event on International Women’s Day. What is your name and role in the company? What advice would you give to anyone starting a career in sales? You need to know yourself and what area you want to work in (food, high-tech…) because they are very different jobs. Is there any women in leadership that you admire outside of your organisation? Yes, since Omniwomen summit of 2018: Perla Servan Schreiber! This woman exudes the joy of living and her cheerfulness is contagious. For me, she represents the Wisdom that you want to listen to, she knows what really matters. What are the few resources (books, articles, blogs etc.) you would recommend to someone to gain insight into becoming successful in life and their career? So I will suggest Perla’s book: Ce que la vie m’a appris [meaning “What life has taught me”]. I would encourage the person to be aware of current affairs in general as well as the news in their own field of work. This allows us to have conversations with customers even if we have nothing in common with them. Laura Valavanis, Client Service Director for Sales Activation clients. Marketing/Sales Coordinator for a Beauty Trainer team at Daytona. Always try to put yourself in the Customer’s position!!! Is there any women in leadership that you admire outside of your organisation? There are admirable women in many fields. Simone Veil is probably one of the women who embodies courage and strength to me. What are the few resources (books, articles, blogs etc.) you would recommend to someone to gain insight into becoming successful in life and their career? In my life, managing a family successfully and performing well in my career can sometimes be a real challenge. Carole Pirmez’s book “Avant j’étais débordée !” [meaning “Before, I was overwhelmed!”] provides a few tips for organising everyday life, in order to restore a harmonious sense of balance. Similarly, Marie Kondo’s “The Life-Changing Magic of Tidying Up” talks about the simple fact that stress and inefficiency are partly caused by untidiness. My 1st job was Area Manager in the Paris region for CPM’s client HP. Have self-confidence, never give up, be curious and know your contact/customer in order to achieve your goals. Is there any women in leadership that you admire outside of your organisation? Susan Oubari, a spiritual coach who had a career change after working in fashion. She’s a very friendly and warm American who uses “Breathwork” based on very intense breathing exercises. They help you let go, to beat stress and anxiety and make way for well-being and relaxation. Latest article from CPM UK looks at Grocery Sales at Easter. Are you ready to maximise your Grocery Sales this Easter? Did you know that consumers spent a smashing £900m within Grocery across all categories last Easter? From working with a range of clients across categories, we know just how important it is for brands to maximise sales over the holiday period through increased availability, incremental space and in-store execution. Don’t make it all about the egg this Easter, speak to us today to hear how CPM can help you crack this key selling period. Calling into grocery, high street and discounters, our FLEX team of Retail Experts are ready to switch on when and where you need them, with as little as 48 hours’ notice. Our army of 300+ Business Development Executives have a wealth of experience within this field which allows them to create an impact in store and drive the highest return for our clients. Being in store every single day, across a range of brands the team have unrivalled relationships with the stores within their territory, acting as an extension of the store team which in turn allows us to influence decisions and drive real change for our clients. Not sure which stores to call to drive the most impact? Leave that to us! CPM’s insight team can analyse your sales data to identify which stores to visit based on sales potential, footfall and our knowledge on the stores deemed to be the least compliant. We will make recommendations on when to call, where to call and the interventions to make to drive the highest ROI. Want to increase your ROI even further? We have the ability to use Predictive Analytics to deploy our FLEX Team into the right stores to fix issues before they actually happen, protecting chances of lost product sales. 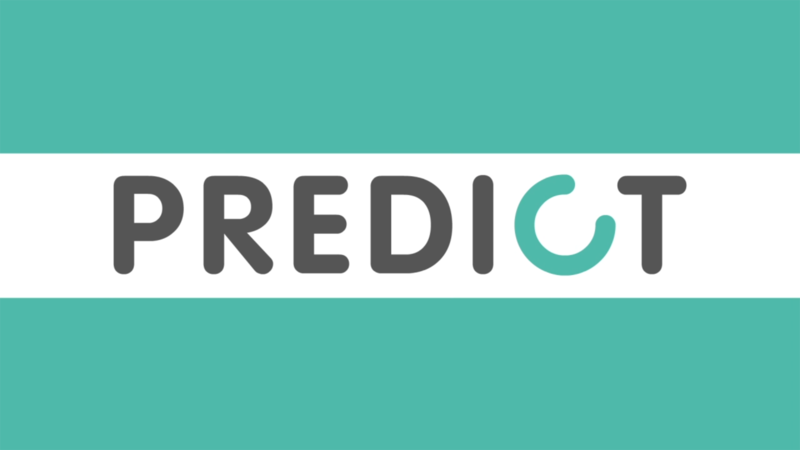 Our clients using Predictive Analytics are already seeing up to a 23% sales uplift. Crack Easter this year by using our FLEX Team and accelerate sales immediately through in-store merchandising, promotional compliance, increase incremental space, stock management plus much, much more. CPM and Krea Sales have worked together in Belgium since 2015. After the first year of collaboration Krea Sales purchased 56% of the shares in CPM Belgium and Joeri Perneel has now acquired the remaining 44% of CPM’s shares in the company. Joeri thus acquires 100% of the shares in the company, which will change its name in the coming weeks. Both businesses share several international clients and will continue to collaborate on behalf of those clients, whilst developing their own local market strategies where appropriate.